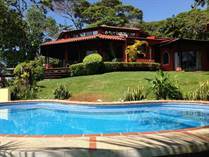 Located 45 minutes drive south of Manuel Antonio, Dominical is becoming a favourite for travelers, investors, and retirees. 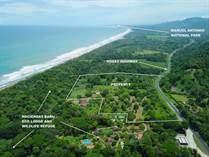 Once a hidden fishing and surfing village, with the expansion of the Pan American Coastal Highway in 2010, getting to Dominical has never been easier. 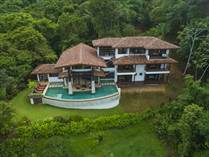 The boom in real estate for Dominical is a result of much-improved infrastructure and transportation bringing visitors into a realm of magnificent and exotic natural beauty hosting a lifestyle that truly is paradise. 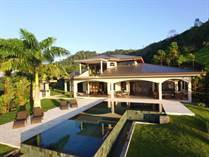 Dominical Costa Rica properties are located in amazing settings with breathtaking ocean views due to the sharp rise of the mountains from the coast and the lush jungle that blankets the landscape. 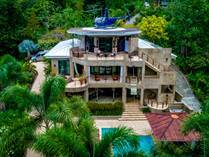 "Gorgeous Ocean View Estate in Escaleras - A Great Investment Opportunity"